Arirang TV is a public service agency that spreads the uniqueness of Korea to the world through cutting-edge broadcasting mediums. Arirang TV's objective is to burnish Korea's image in international communities and to improve relationships with foreign countries through close cooperation with broadcasting companies overseas. Arirang TV is dedicated to the development of broadcasting, media, and the advertising industry, along with the advancement of culture and art. Arirang's core business is to deliver programs worldwide via satellite 24 hours a day in order to improve the image of Korea. The United Korean Community Association in the Philippines (UKCA) is a non-stock, non-profit association in the Philippines. UKCA is an umbrella-type organization covering all Korean organizations in the Philippines. It currently comprises 17 functional associations and 20 regional communities throughout the country. The main purposes are to encompass the different members/sectors in the above various Korean communities and cater to their needs in terms of information, social welfare and protection, and com-patriotic familiarity. UKCA is the main producer / organizer of the Annual Filipino - Korean Cultural Festival! KFEST Manila Events Management is the largest event organizing company in the Philippines promoting Korean Culture Events and Influence and have brought a successful series of Korean Pop Culture Events in the country. KFEST Manila Events Management are the team behind the biggest hallyu events in the country such as Kpop & Culture Fest, Kfest Idol, Kpop Nation and also Japanese events such as Jpop Festival Kick Off Event. Super Junior United Philippines or simply called SJUPH, is the unification of the four biggest Super Junior fan clubs in the Philippines. They are now working as one and strive to unite all Filipino Super Junior Fans all around the world. SJUPH has been on the planning stage even before Arirang TV and Arirang Town Philippines <Pops in Seoul> event. SJUPH was formally introduced on the eve of September 25, 2008. 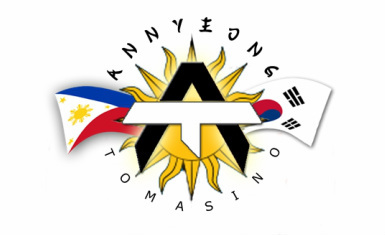 Annyeong Tomasino is the multi-cultural organization for Korean culture and arts in the University of Santo Tomas founded in 2011. It aims to promote the rich Korean culture celebrated in a Filipino twist to enrich the Thomasian community with knowledge about the Korean and Filipino connection. BlueHan is a student org based in the Ateneo de Manila University dedicated to celebrating Korean culture and the coming together of its enthusiasts. 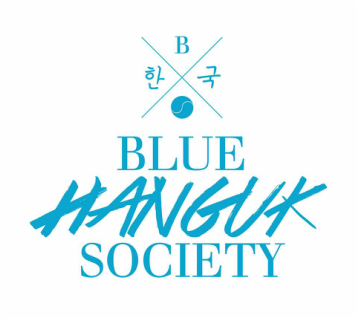 Blue Hanguk Society started out in the Summer of 2012 as The Atenean K-Pop Union (TAKU), a humble Facebook group dedicated to the camaraderie of the growing number of Korean-Pop music fans in the Ateneo. As its member count increased over time in number just as the Korean wave swept the world, tie-up and collaboration opportunities came to TAKU’s attention. This prompted leadership and a call for organizational formation to arise. Thus in opening the window of becoming a platform for Korean culture celebration, promotion, and appreciation, the Blue Hanguk Society (BlueHan) was formed in November of 2012, catering not just to K-Pop music enthusiasts but Korean culture in general.